Fans of late Pantera axeman Dimebag Darrell came together last night (January 24) in Santa Ana, CA, for the the annual Dimebash tribute event, and were treated to an all-star jam that featured Dave Grohl, Slipknot's Corey Taylor and more. 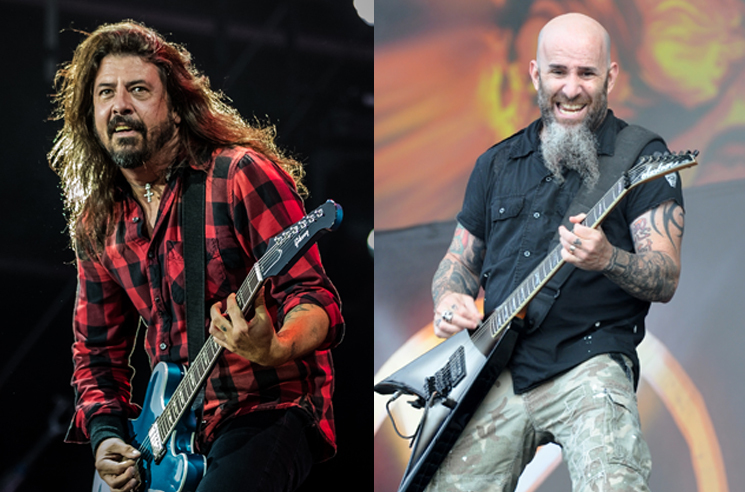 Footage from the event shared by Metal Injection shows Taylor leading the group through a rendition of Pantera's "Walk," fronting a group that included Grohl, Anthrax members Scott Ian and Charlie Benante, ex-Megadeth guitarist Chris Broderick and Pantera bassist Rex Brown. Additional footage also shows the group performing Pantera's "This Love" and KISS' "Love Gun," the latter being by Darrell's favourite band. You can find clips from the evening below. Dimebash 2019 also featured full sets from Kill Devil Hill and Fireball Ministry, in addition to appearances from members of King's X, Slayer, Cypress Hill, Hellyeah and more.